The families of Kyle Dempster and Scott Adamson made the difficult decision to call off the search for the hikers missing in Pakistan since August 22, reports CBS station KUTV in Salt Lake City, Utah. Severe weather hampered search efforts until Saturday. Two Pakistani military helicopters left Skardu in clear weather. They landed at basecamp on the Choktoi Glacier and picked up climber Thomas Huber (Austria) who would assist as an observer/spotter. An exhaustive and close-proximity initial search of the north face of the Ogre 2, the northeast ridge, and the glacial basin between the Ogre 2 and Ogre 1, yielded no sign of the pair. After refueling, the two helicopters made a second sweep of all sides of the mountain, from an even higher altitude, and again found no sign of Kyle and Scott. Dempster and Adamson were known as world class climbers. Dempster was the first American to win the French mountaineering award, Piloet d’Or. He won it twice, most recently in 2013 when he scaled Ogre 1. 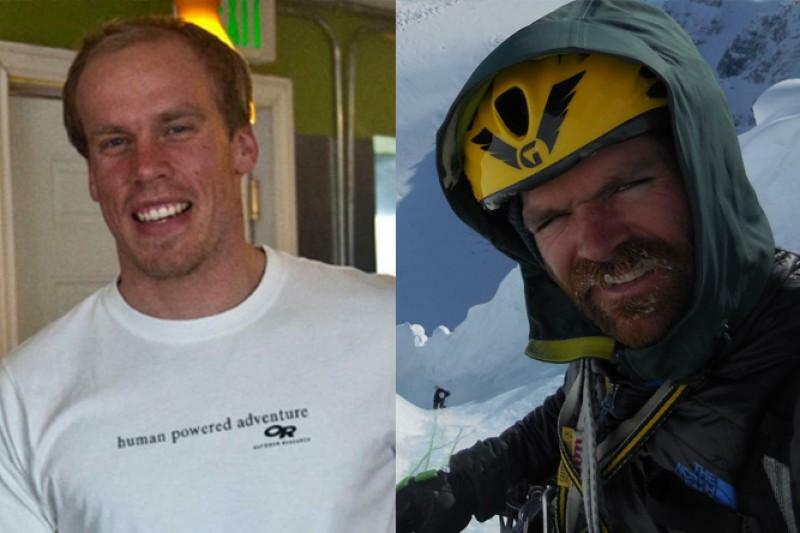 “I think he had a huge impact on Salt Lake Climbing,” said Dempster’s childhood friend, Ty Snelling. Snelling and Dempster opened a coffee shop called Higher Grounds in Millcreek 7 years ago. Those who knew Dempster and Adamson said they take solace knowing the two were lost doing what they love, but are still holding out hope. Snelling said Dempster had been lost climbing once before and returned 20 days later.